We are very excited to chat about this subject. This is not your typical blog. This blog is short, sweet and to the point. I have heard many different people discuss the importance of a wedding planner and the roles that they play. I will tell one thing- when you are planning an event with over 100 people you need a team – a wedding dream team as I like to call it. To pull off a wedding, you need a team of wedding professionals to ensure the execution and the overall flow is flawless. Chef and I have worked at many events, and have grown a great respect and understanding for the wedding planner. From the timelines – to understanding how long each segment of a wedding runs, to even understanding the caterer and their needs. My point is quite simple, if you want an efficient experience, hire a wedding planner. They are the voice, the time ticker and the go-to that you need so you can enjoy your special day. From a caterer’s perspective, the wedding planner is ESSENTIAL. We typically have our own logistics and coordination to handle. Food is extremely important to us – we treat it with delicacy. The wedding planner will guide us and the bride & groom from where we should set up – to whether the couple should go plated or buffet according to the space they have for their venue – and even more tedious details on whether if it’s necessary to have a salad plate or not. We often tell our brides and the planners that there are so many logistics from a caterer’s standpoint. 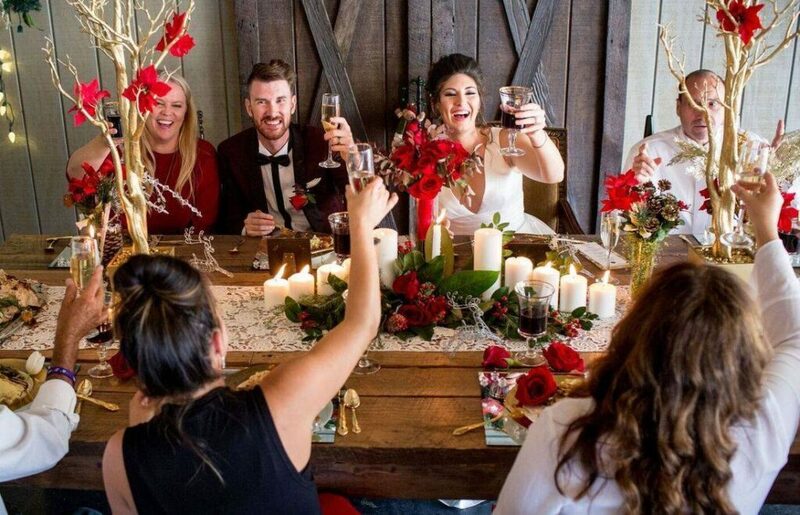 From menus – to appropriate staffing, buffet table décor, the actual execution of cooking – including the execution of the event from all vendor perspectives takes a team of people, and the wedding planner helps bring it all back together. That’s not all; the planner is the point-of-contact for every vendor that is in the wedding. It is important to find out if the planner and the vendors have worked together before. If they have, they know each other’s work styles and ethics – thus creating a smooth work environment. If the planner and the other vendors haven’t worked together that is okay too. We are professionals, and we should know the ends and outs of every intricate moment of your special event. So, you get my point, right? If you find yourself asking whether or not a planner is necessary, rethink every intricate detail of your wedding. You shouldn’t have to worry about a thing. Hire the wedding dream team to make your special day unforgettable.